The Other Side blog: Winter Witch is the Deal of the Day! The calendar may say Spring, but the temps are still cold here in Chicago. 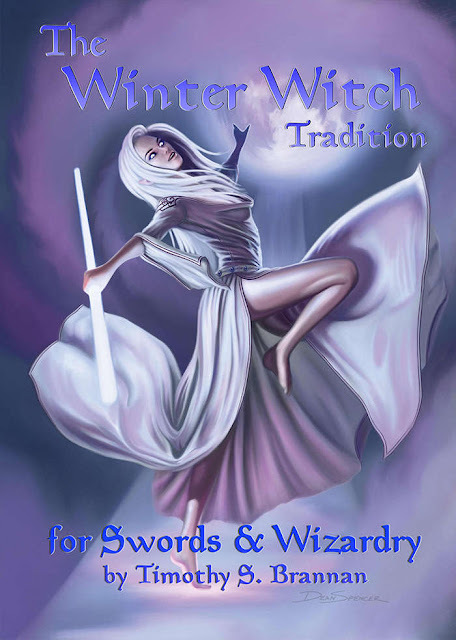 To celebrate the end of winter I am offering the Winter Witch Tradition book on sale as today DriveThruRPG/RPGNow's Deal of the Day. So take advantage of this sale. The Winter Witch for Swords & Wizardry is only $1.20 for the PDF for the next 20 hours (from this posting).